Bought these for some homemade candlestick holders for our mantel and they are beautiful! I love these candles. The hex shape is really cool. Elizaville is the perfect example of why I love to shop on Etsy! A totally unique product, well crafted and she offered me wonderful and personalised customer service. When the color I originally ordered wasn't quite right she ended up developing a new color that was exactly perfect for what I wanted. I will definately shop here again. This white beeswax is pale bone ivory and you can tell it is naturally whitened. 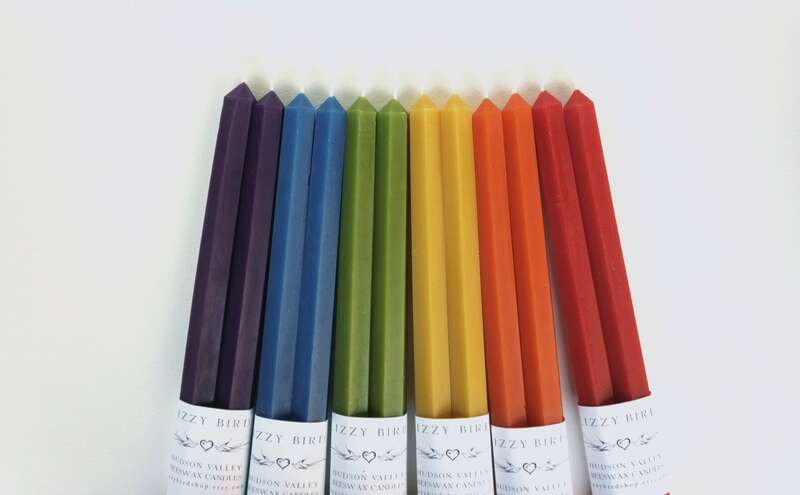 Naturally whitened beeswax, with no dyes or chemicals, is prized above other beeswax. 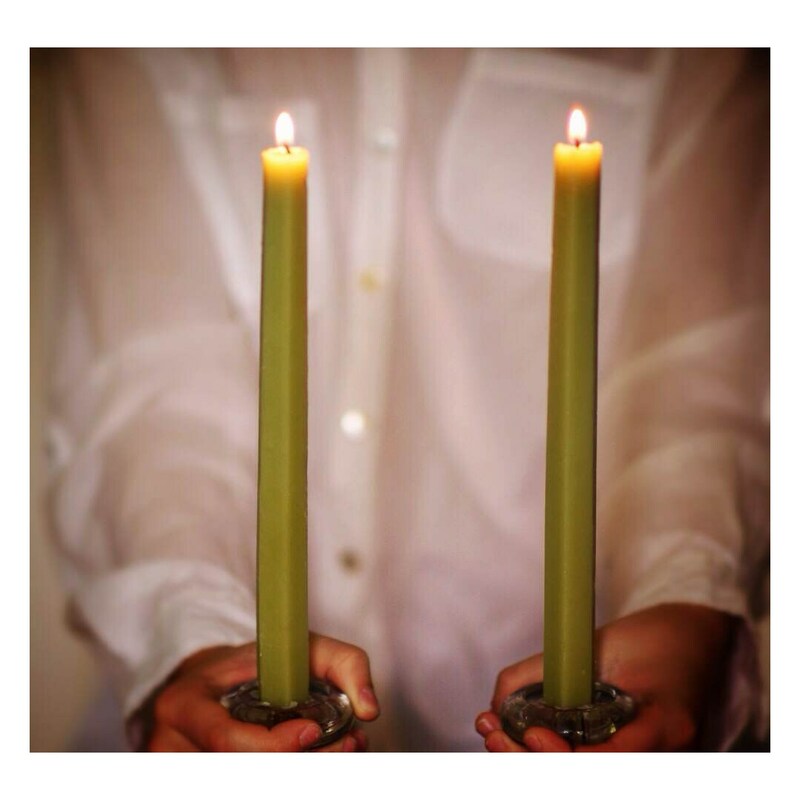 These beeswax candles are well formed and solid. And they are straight. You can tell that a lot of care went into pouring and setting of these candles. These hexagonal candles are a sharp geometric design. The candles were delivered well packed and in perfect condition. I would definitely like to buy from this merchant again. 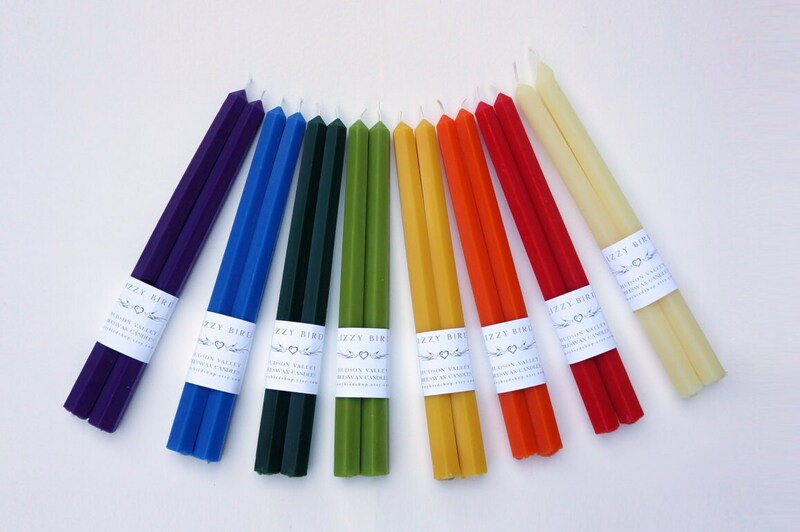 Cannot say enough POSITIVE about these candles - ESPECIALLY the hex ones - AMAZINGLY beautiful and unique - and this gal who owns the company....abosolutely AMAZING!!! Will order MANY more!!! Thanks so much of making such a GREAT product with complete integrity!! !